We can't give you a quote from Shift It Logistics , but we have hundreds of drivers waiting to offer you a great price. Have a question for Shift It Logistics ? No problem, send them a message and they'll email you back as soon as possible. If you have a more general question you might find it answered in the FAQ, or you always contact one of our brilliant customer service team. * Shift It Logistics won't be able to see your email address. Man and Van is a based courier and removals company with a great wealth of experience in the industry. We take immense pride in our commitment to offer swift and efficient removals at affordable prices. Whether you are moving home or relocating your office, we will get the job done in no time. To us, no job is too big or too small. Our company vehicles are well-equipped to move all kinds of household and commercial items and our courteous drivers will safely transport your items with utmost care. 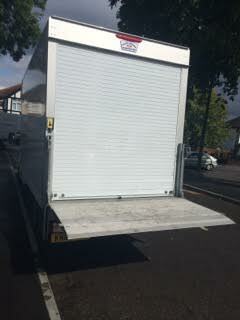 We also specialise in the transportation of production equipment for TV crews. Our team will ensure all the items are transported safely. I’m so thoroughly pleased and relieved I chose ‘Shift It Sharpish’ as my move went very smoothly. If you want someone who is professional, non-judgemental, positive and above all interested in getting the job done then Simon is your man. Moving is stressful, granted but Simon made the move stress free. A very grateful customer. Fully recommend Simon. Thank you. Marni. Great guy, great help. Highly recommend! Absolutely brilliant!! Under 30 mins to load and 20 to unload and in my home!! Absolutely brilliant will be using them every time! Gary was right on time and really efficient, everything went very smoothly. Thank you so much! I recently moved from Oxford to Nottingham with Terry and I couldn't recommend him highly enough- he was a genuinely really nice guy, friendly, really efficient and great at his job. Everything went really smoothly. There was a bit of traffic on the M1 so we went over my estimate by quite a bit of time but he was really calm and nice about it all, despite it meaning he wouldn't be back until late! I felt that extra time was very reasonably priced. I never imagined I could meet someone that took the stress out of moving so much, but he did! He was also very accommodating with having my cat ride with us too. Highly recommend him and will certainly use them again in the future. The driver was only 30 minutes late and that didn't bother me at all, he rang and was very apologetic, he was stuck in traffic, things happen, that is not a problem. He helped me move all my stuff and even stopped for me on the way to buy food. He was very nice and I highly recommend him. The van was very big and everything was packed properly. He helped me take the stuff out at the other end as well. I only have good things to say about him, thank you for making the move a breeze. Simon & James made my move stress free. 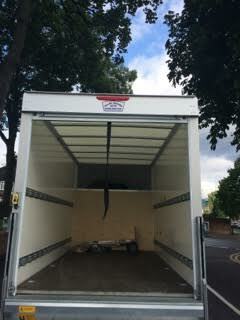 The move took a lot longer than planned due to heavy traffic, but the driver was helpful and saw the job through! Absolutely superb. Will not hesitate to use again. Polite, courteous and punctual to the minute. Punctual, energetic and positive team of 2 - all you need for the move. It was a stress-free affair for us thank to the great job done by the guys although moving from London to Hertfordshire and it was so nice to have a truly professional service. Will recommend to anyone considering Shift it Sharpifsh. Terry was helpful, polite and really patient with the jobs that needed doing. I can highly recommend him! Bang on time and worked hard to accommodate all of my items in the one van. The long drive to Newcastle was completed in a sensible time and the final unload was done speedily and professionally. I wouldn't hesitate to recommend Simon. There was problem with the size of the sofas and your driver and his mate handled it well by dismantling the sofas and reassembling at the other address. Thanks. Terry and Bradley were superb. Worked hard and were very respectful of our possessions. Highly recommend this company. Outstanding service and the guys worked really hard moving all the furniture. Would easily recommend the service to anyone. I really can't fault this company. 2 really great guys, very friendly and worked there socks off. then a 200 mile trip to devon, and unload the van at pace. great value for money and definately use them again and recommend to anyone who needs to move. thanks guys, brilliant service. Simon, Terry and Brad were all excellent! Very organised, helpful and polite. Nothing was too much trouble. I would highly recommend them. On time, Friendly driver. Van was plenty big enough for our house move. Terry and the young man he had helping were great, they arrived on time took control of the whole move, were very careful and clearly knew what they were doing (and all with a smile). I was also trying to stick to a tight budget so my three hour window to move the entire contents of my 2 bedroom house 20 miles up the road and unload at the other end was truly impressive! I'd definitely use them again, thanks so much both! Would thoroughly recommend, friendly driver and colleague, on time and to expected price, travelled with the van for the move, no breakages, items packed and unloaded with care, would use again! First time using this service, and I was very impressed by how punctual, kind, and knowledgeable our driver was. Will def use this service again. Terry was great - couldn't ask for anything more. Friendly driver and very helpful. Terry was great, reconfirming the day before and was flexible when I wanted to change the job time to an hour earlier. He helped move the sofa into my Mum's living room. Very easy, very happy! This guy is the bees knees....so helpful, polite, lovely guy and very professional...and would recommend 100%....the positive reviews are all correct, this is the guy to do your removal. Top fella, top job! Terry was brilliant and very patient. It all happened just how he said it would. Thanks Terry! Terry was terrific! Friendly, cheerful and efficient. I couldn't praise him too highly. Absolutely fantastic. If you book this driver it's your lucky day and some of the stress of moving house is taken away. Three cheers for Terry!! Simon went far beyond the call of duty with willingness and good humour. Top bloke. Excellent service which was on time and quick; both very hard working. Highly recommended. 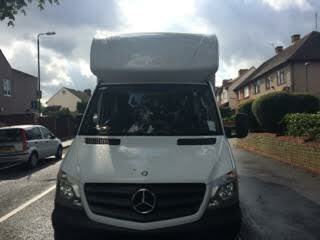 Driver and service was brilliant, arrived on time and nothing was a problem - would recommend the driver and company. A fantastic service. Incredibly reassuring and professional at a very stressful time. A group I will whole heartedly recommend! Simon did a great job. He's a really honest and reliable guy and we would have no hesitation in recommending or using again. You won't regret booking him for your job. The driver was brilliant. The job started in drizzle - progressed to driving rain and ended in blizzard conditions in the dark, but despite that he was cheerful, polite, helpful and hard working throughout. Thoroughly recommended. Very nice and helpful driver. Was on time and help us a lot. The guys did an excellent job - they were super quick and efficient, worked very hard and very polite and helpful throughout. Great job, thanks again! Absolutely brilliant thanks! Andy and his colleague were absolutely brilliant. Excellent service. Simon and Levi were very helpful with my move. Definitely will use them again. On time....even slightly early. Got on with the job, no messing about. Friendly and polite. Would recommend them to others. Terry was absolutely fantastic, I would highly recommend him and his company and certainly would consider using them for any future moves. Many thanks. When I booked the job, I said that the move would be from ground floor to first floor. However the driver wanted to charge me additionally per step ie. the first floor you go up 5 steps then turn to go up another 5 steps - I would not count this as a second storey! If the job is more than likely going to overrun the time estimated by the website the driver should clearly explain the likely increase in price at the outset, not after the job has been completed? Also later there was a discrepancy about how much money was outstanding after the deposit was subtracted (I estimated �160 but after the job had been paid for and completed, I received an email saying it was �150) I had already paid a �30 extra charge, for over running the agreed upon three hours by twenty minutes. This ended up being a considerably greater expense than I had planned for. CMV Response: It is clearly stated on the website that we only charge from pick-up to delivery and you need to estimate how long you think your loading/unloading time will be. This is an automated system and it is impossible for us to estimate your loading/unloading time for you as we simply do not know what you are moving. Also, the driver's half hourly rate for any additional time if you run over the time you book for is also clearly stated on your email confirmation which you receive after you have confirmed your booking so that you are at all times fully aware of this additional charge. Very helpful and friendly driver, couldn't have been better! Highly recommended. Really helpful and knowledgable. Even helped push start my car when it decided to breakdown mid move! Terrific crew, TERRY and BRAD, could not have been more helpful. Nothing, was too much trouble. They took the stress of moving , away completely. Punctual, polite, professional and efficient. Superb service, that I will definitely use again. Fantastic service. Friendly, efficient, safe. I felt from the initial booking until the end of the move, Shift it Sharpish were professional, reliable and friendly. I would highly recommend them and wouldn't hesitate to use them again. Thank you! All went smoothly. I was updated fully about where everything was. Item helped into the house. Fantastic service. Couldn't have asked for more. Many thanks. Simon and Levi were fantastic. They were on time, efficient, friendly and did the job very well. We were relocating from London to Southampton and they made the move stress free for us. We would highly recommend!! 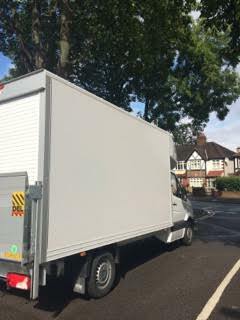 Very happy with this company lovely men extremely hard working and very polite and helpful made us feel very relaxed and at ease on our moving day we had quite a lot of belongings and they didn't complain one bit absolutely would use these again very impressed :) thanks guys !! Terry was amazing! Would really like to thank him for all his help and would definitely recommend & use again myself! Simon was professional, friendly, super efficient and we can't recommend him highly enough. We had underestimated how much stuff we had and also hadn't packed it very well - him and his colleague still managed to fit it in perfectly! They were both brilliant and made a stressful move much easier. Terry was extremely friendly and helpful. Very adaptable and helpful when we had problems with parking. Overall a fantastic service!! I had more stuff to move than I thought. Simon was determined to get it all on which of course he did. Top man ! The guys arrived early, worked really hard, and were friendly throughout the process. Arrived early, speedy to load whilst taking care of everything at the same time, such an easy moving experience. Would definitely use again! Brilliant everything went really well!! My move was from a distant storage unit to my new house. Simon was excellent - efficient, laconic, handled the fact that I was the one who was late thanks to a broken down train by getting started on loading; and checked with me that I had things like all the shelves for my bookcase because he hadn't seen them. I'd recommend him without reserve - absolutely stress free. Thanks! Great service, Simon was very helpful, on time, very helpful with loading my belongings and put my move at ease. Would recommend to anyone, very happy! Brilliant and professional service. They worked tirelessly through the day - goods were loaded within about 20 mins and despite the unloading at the destination being difficult (there's no road access so goods had to be carried down a long, steep path), everything was unloaded quickly and without complaint. Would definitely use this service again and recommend to others. Great service would recommend this driver. Great move - fast, professional and friendly service. I was moving from London to Birmingham and rode in the van with my driver. Would definitely use again and would recommend highly! Excellent Service, great communication before and during the move. Couldn't have been smoother. Brilliant, efficient, helpful and friendly. Great at stacking - definitely a 'super-mover'! Thank-you. Although the driver was delayed by traffic we were not charged for the time he was late. Straps and blankets were not required. Driver was on time. Very helpful and reliable. Great service - would definitely use again. Si was really helpful & he got the van loaded quickly, I would definitely recommend this service! Simon was really helpful and patient! Thanks for helping us move ???? Simon arrived early, ready for work. Our lounge was removed quickly and with much ease. The move went smoothly and the driver was very helpful and efficient. Would definitely use again. Thanks very much! Shift It Sharpish was fantastic. Exceeded expectations and made our move go so smoothly. Highly recommended. Great service at good price. Would definitely use again. Thanks. Prompt and very helpful. Thank you. Appreciated the company's courtesy call an hour after collection to ensure I was happy with their service. Would recommend this company to others. Simon was wonderful and extremely helpful. Provided an excellent service overall. Driver called to confirm arrival the day before. Very efficient removal with a friendly driver. Absolutely stress free. Would definitely recommend. Great bunch of people. Very obliging , friendly and on time. Our move was made simple and pain-free by our driver, who was helpful and quick to get us on the move to the new place. We would definitely recommend. Brilliant service and lovely man - really helped us out today- nothing was too much bother! Thank you! We will book again! Everything was fine - on time, completed efficiently, did exactly what I was looking for - thank you! Simon was excellent. I would recommend him highly. We worked as a team to load the van and then several hours drive to my home. He was friendly and good company. The whole process went very smoothly. He was v quick at loading and unloading, careful driver, I felt I could trust him with my stuff. Amazing website / Amazing service! See you soon.